Why is Robert Cormier marketed to Young Adult audiences? 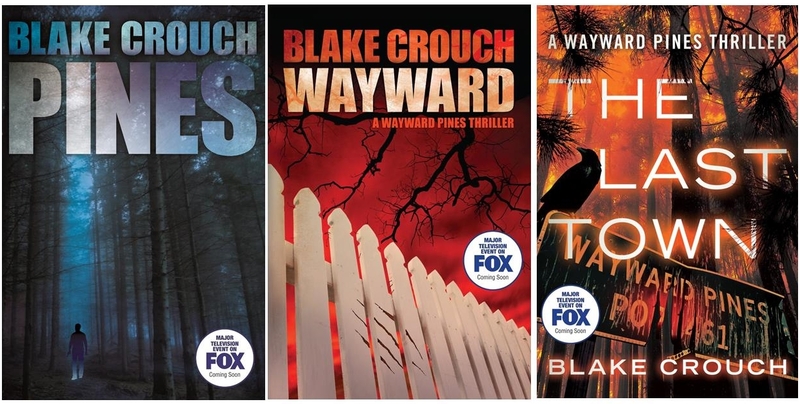 His books explore disturbing subjects, dark themes, and create a generally bleak tone. Thomas Hardy has nothing on Cormier for tragic conclusions. 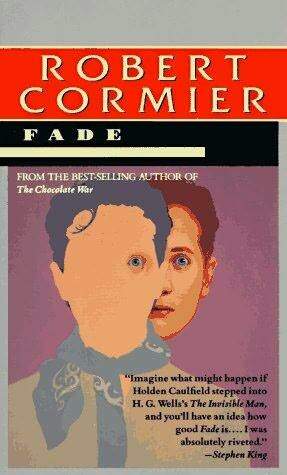 And, not withstanding the constant presence of The Chocolate War, on must-read lists for Young Adults, Fade may be Cormier’s best book. SUMMARY: At the age of thirteen, Paul Moreaux discovers that he can turn invisible. Paul, a sensitive and thoughtful working-class boy, doesn’t even realize it when he first gets The Fade. On a dare, he spies on a meeting of the Ku Klux Klan. (This is the 1930s, and anti-Catholic/anti-immigrant sentiments are running high against Paul and the other citizens of Frenchtown.) When the meeting is ambushed, a crazed Klansman discovers Paul and tries to kill him– but inexplicably, he somehow loses sight of his intended victim. What Paul doesn’t realize is that he has inherited the ability to turn invisible. Sometimes it’s useful, as when escaping from Klansmen and bullies; more often it’s horrible, as when spying upon people who reveal secrets Paul never wanted to know. One male in his family has inherited this “gift” for several generations. Paul at least has guidance from an uncle, also a Fader. The invisible teenaged Paul slowly discovers that his “gift” only helps him learn quickly the tragedy of human existence; he is doomed to lead a life marked by violence, madness, and despair, with relief coming only when health complications from the invisibility cause him to die, lonely and young and unmourned. 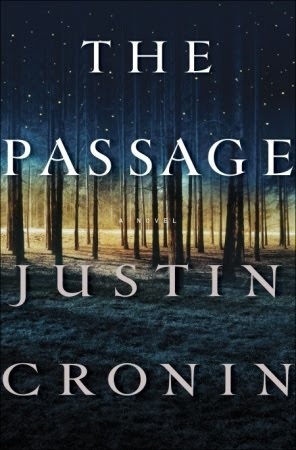 Thoughtful, horrific and suspenseful. Highly recommended! Electromagnetic pulses can result from natural phenomena and, in much greater strength, from nuclear blasts. The result of an EMPs is the destruction of unprotected electronic circuitry, about 95% of it in the United States. A nuclear bomb set off at a high altitude would cause electronics over a large swathe of the planet to fail and almost nothing has been done to protect the US from this threat. 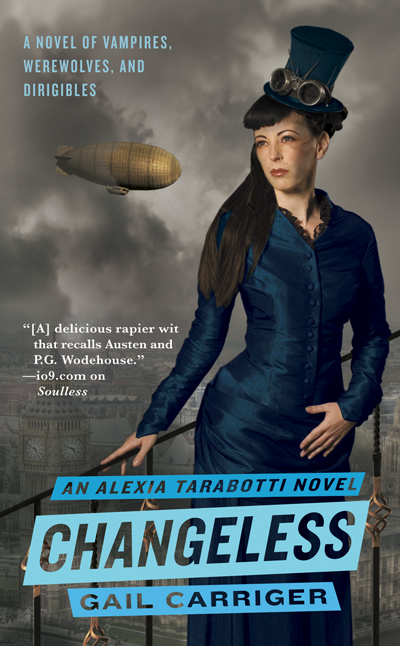 This frightening novel depicts what life might be like in the case of an EMP attack. With no electronics -vehicles won’t run; no phones, computers, radios, or televisions; no electricity. America descends into the Middle Ages. In One Second After, a lack of food and medicine leads to mass death. Society crumbles quickly. Cities turn against the countryside; friends and neighbors turn against each other in a desperate struggle to survive. Criminals take advantage. Forstchen humanizes it by giving a detailed look at how events unfold around the idyllic small town of Montreat College in North Carolina.The weeks pass, and society deteriorates quickly – food runs out, people die due to lack of treatment and medicine, tyrants try to take advantage of the weak and confused, and criminals run rampant. 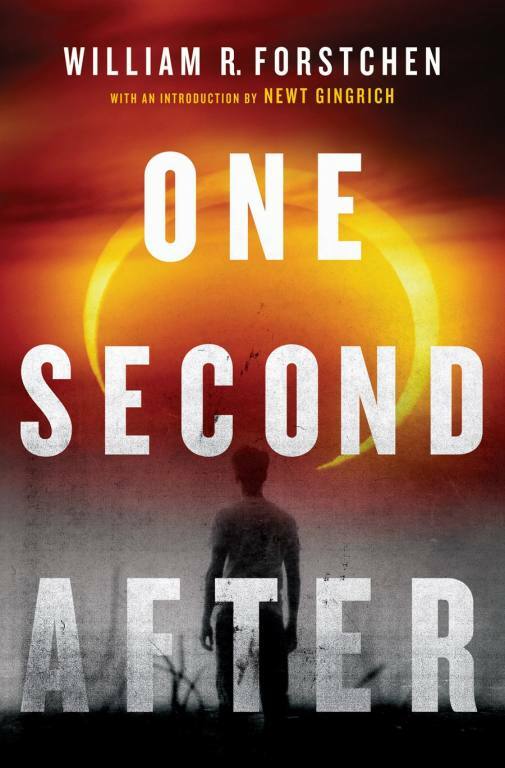 One Second After is a masterpiece of dystopian literature that ranks with 1984 and Brave New World, but is even more horrific. 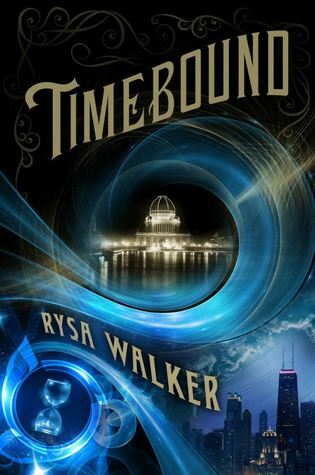 IT IS A PAGETURNER! You will have restless nights while you are reading this, and several nights after. Particularly when you realize that our government has done nothing to prepare this country for this serious threat.